Before starting here, read this excellent article about NBN “analysis” from Renai LeMai over at Delimiter. I’d had a bit of a row about this article with sortius (twitter) yesterday. The article itself was an almost meaningless bit of fluff – someone from a pensioner’s association is pro-NBN because it will improve rural health. There’s no specific mention of telehealth initiatives (video consulting / remote consultation etc etc) and the journalist has probably been a bit lazy in conflating the government’s eHealth website (easily found at ehealth.gov.au) with the clinical telehealth services (which is probably what Mr Lawler was actually talking about). The article specifically talks about the Patient Controlled Electronic Health Record (PCEHR) – although not by name – which is the only telehealth service that is accessible from the eHealth website. The PCEHR is designed to make it easier for people to be more mobile between healthcare providers; hospitals, GPs can all upload data to a patients “e-medical record” and can then be accessed easily by all. Patients are able to control which parts of these records are visible (hence patient-controlled). It’s all done via a web-portal and is linked to Medicare’s central servers, so has access to each prescription you’ve been been dispensed at a pharmacy and each time you’ve presented your medicare card for service. It’s not high-tech and doesn’t need any fancy equipment, other than an internet connection. Its rollout has been far below expectations – the number of people signed up are in the thousands, three years into the 10-year project, and the number of healthcare providers is even less. So sortius and I had been sniping at each other; I was commenting on what was written (ie: the description of the PCEHR but no teleconsult stuff) he was commenting on what was implied. If you’re a masochist, you can see the whole exchange here. Such is the nature of internet flame-wars – minor differences in interpretation spiral out of control. The argument then spun off in a different path, thanks to a tweet from @stryqx. So we were arguing at cross purposes the first time around, but here are two tweets specifically talking about the health record, which sortius quite clearly says [people aren’t accessing the PCEHR] probably because they don’t have a stable internet connection. He then proceeds to have his little meltdown about me verballing him. He then straw-mans the rest of eHealth from our previous argument as justification for me being incorrect and then when I quote his words back to him (remember, the ones I verballed him with) he says “Firstly, I said probably”. Ahh, of course. The irony, of course is that he wrote an excellent post – yesterday – about people complaining that the internet records things you say and can be checked on. I’m happy to concede his point that people with poor connections are less likely to take up internet technology. Fair enough, but the PCEHR is not all of eHealth and to bollock me for saying that (when I didn’t) while denying he said something (that he did) is just infuriating. What really annoys me about sortius’ approach to this is his argument (also in his comments to my previous post here) is that if you know tele- but not -health you should be taken seriously, but if you know -health but not tele- then you are an “uneducated fuckwit”. And of course that he complains frequently that Malcolm Turnbull has blocked him for being an “anonymous troll”, but that after a spray of vitriol, he blocks me on twitter. Recognising hypocrisy in yourself takes self-awareness. We can only hope. This is a bit of a departure for me, but this article has been getting a lot of attention in the media, so I think it’s worthwhile doing. First, a disclaimer. No blog or any other page on the internet is a substitute for proper medical advice you get from sitting down and talking to your doctor. Every situation is different – and I think that particularly for this paper, as it deals with a chronic condition, the best person to speak to is the one who knows you best. The abstract for the article is available here and the full version is here (will need to login to your hospital / university website to get the full version). Some of the sensationalist media it’s received is here or here. ABC Radio did a piece, and a more skeptical report is here. Michael Vagg has covered the article over at The Conversation and must be a clever guy because he largely agrees with what I’ve got to say below. A randomised, placebo controlled trial of amoxicillin/clavulanate given for 100 days to people with chronic lower back pain has showed a statistically significant reduction in pain, functional assessment and MRI changes. Chronic back pain is a common cause of presentation to GPs and accounts for quite a bit of lost working time. By and large, existing treatments are not highly effective, and mainly involve rest early and then gentle mobility with pain relief. There, unfortunately, is no magic bullet – no matter what people say. Chiropractic is about as effective as standard care – which is to say not very. In clinical studies, most patients with non-specific lower back pain, it will resolve spontaneously – this tends to occur in spite of treatment rather than because of it. Unfortunately, a small proportion of patients will go on to have severe, ongoing symptoms. There is concern in medical circles about the steadily increasing prescription of strong opioid pain killers – morphine, oxycodone tablets and fentanyl / buprenorphine patches. The Australian therapeutic guidelines recommend against chronic use of these agents. The other treatment option is surgery – although for most cases where there is not a substantial anatomical defect, the results are also less than inspiring. Another problem is that surgery is frequently done late in chronic back pain – after everything else has been tried, and a chronic pain state has been established and which surgery may not fix. For most patients with back pain without any of the warning signs, no scans or x-rays are generally needed. If an MRI is done, changes called “Modic changes” are commonly seen. These can be thought of as inflammatory changes in the edges of the vertebrae. I’m not an orthopaedic surgeon, but I am reliably informed that these modic changes are an important predictor of pain – which makes sense. Inflamed bones are painful. The next leap is where I have the first big problem with the article. Not all inflammation is due to infection. I hope this is pretty obvious. Think of a sprained ankle; it gets really swollen, but there’s no suspicion that it’s infected. So it is (I think) with these modic changes. The paper’s rationale for using antibiotics is based on a previous work of Sterling and colleagues (doi:10.1016/S0140-6736(00)05109-6) and quote it thus “Stirling found nuclear tissue removed under strict sterile conditions to be infected with low virulent anaerobic organisms, (Propionibacterium acnes and Corynebacterium propinquum) in 53% of patients. It’s also worth noting that the samples were incubated for a long time in the lab (increasing the risk of contamination by the lab staff) and that this was tissue taken from the intravertebral discs (not the bone end-plates) of people with sciatica and bulging discs (not functional lower back pain). Now Propionibacterium is a tricky germ to grow – slow growing, and grows better under conditions without oxygen – which is fiddly in the lab. As well as being the germ behind acne, it is also prone to cause infections in shoulder reconstructions. Those aside, the vast majority of times we isolate this germ in the lab, we think of it as a contaminant rather than a true infection. It is a ubiquitous organism on the skin, and if not enough care is taken collecting samples, it is very easy to contaminate a sterile specimen with a small amount of this germ. Obviously in response to the Stirling letter, was the paper of Carricajo et al (doi:10.1016/j.jhin.2007.04.007) which found that only 2 of 54 patients with herniated discs cultured P. acnes, and that both these patients also cultured the organism from the ligamentum flavum and paraspinal muscles. As well as that, 18 other patients also cultured the organism from the control sites but not the disc, and four air samples from the operating theatre were also positive for P. acnes. Their conclusion was that contamination was a far more likely explanation than a low-grade infection. The trial was small – around 70 patients in each group, but the sample size was calculated to find a difference in the grading scores, with a power of 0.90 – the short version of this is that there’s a 1/10 chance of a Type II error – that is finding a difference where none exists – purely by chance. You would think that such a large magnitude of difference would make a statistical fluke less likely, but in fact a small sample size could result in a cluster of aberrant results away from the true answer more easily than a larger trial. What wasn’t considered was secondary effects of the antibiotics – creation of resistant organisms in the patients which may not come up during the duration of follow-up of the trial, and the wider effects of antibiotic resistance on the community. A well-designed, but small trial has shown marked improvement in outcomes of a condition for which, up until now, treatments have been largely unsatisfactory. Although there is biologic plausibility, the causal link is weak, and there has been another small study which specifically calls into question the whole premise that underpins the trial. The treatment is cheap, and certainly a better option than putting people on chronic opioids, but has significant side effects – and further population-level side effects which the trial does not look into (and which are generally poorly appreciated by everyone – public and doctors). Far from being the potential Nobel prize winner that it’s been reported as, I think this trial – overall – is a bit of a lemon. I’d like to see a much larger trial, which also includes some data on rates of trial-acquired resistance. But it is an important first step – and as the cliche goes, more research is definitely needed. There’s not much that will stop me from banging on about antimicrobial resistance. Preventing it is my job – and my passion – I’m lucky enough to have landed a job doing something that really fits with what I like doing. NPS Medicinewise (formerly the National Prescribing Service) do a lot of great stuff in promoting appropriate use of medicines (not just antibiotics) and their page on antimicrobial resistance is a great starting point if you want to read about the topic. They also co-ordinate a national hospital antibiotic use survey in September (which is the source for a lot of my stats on antibiotic use) and have some great educational resources for prescribers (if you’re a junior doctor reading this: do these modules). This tweet popped up in my twitter stream this morning, linking to this video. I love the video – I think it’s great to hear from people who can see the enormous difference that antibiotics have made in their lifetime – because otherwise, it’s just doom-sayers like me predicting a return to the time when we don’t have effective antimicrobials. But I’m just not sure how comfortable I am about leveraging ANZAC day for a public health message. There’s quite a bit of navel-gazing this year about ANZAC day – as people become more remote from the diggers it all started with. See the excellent thoughts of John Birmingham here. Whether or not that’s the case, I suspect the outrage engine would be in full-swing if a business ran ads trading on the ANZAC story. I’m just not sure we should treat a public service message any differently. In any event, ANZAC day is important and although its meaning to the general public may shift, I think we should keep its observation low key (in fact, I quite like Jon Kudelka‘s suggestion. Antibiotic resistance is also important. But let’s get rid of the overlap between the two. But really – watch the NPS video anyway. Brisbane is flooded again, although thankfully not as badly as in 2011. It is always worth a shout-out to the awesome work our emergency services to – particularly the volunteers in the State Emergency Service who get out and about to help out while the disasters are ongoing and without any payment or reward. I had a brief exchange with one Brisbane volunteer here over the weekend and again today, in response to a similar tweet coming from St John’s Qld. After a quick bit of Googling and some Pubmed, my assessment is here and here – there is no direct evidence or guidelines (that I have been able to find) that recommend this. So where has this helpful advice come from? And why is someone who’s job is preventing infection having a cranky about it? Well, like many of these things, there is a seed of truth at the bottom of it all. In preventing surgical site infections, there are actually really quite a few studies (including a Cochrane review) of the impact of methods of hair removal on the risk of getting a surgical site infection if you’re having an operation. The bottom-line: we don’t really know, because the studies are small, the events are rare. The data is underpowered to find a difference between no hair removal and hair removal, but what they do say is that if you shave, your risk of infection is around twice that if you clip (relative risk: 2.09, 95% CI: 1.15-3.80). It is now standard surgical practice for hair to be clipped, not shaved. Why this might increase your risk of surgical infection is unclear; microtrauma to the skin is a popular theory, but there are others – opening the pores to allow bacteria normally on the skin surface to gain entry into the hair follicles is another. The thing you have to remember is that surgery is a major insult to your skin. (After lathering it with antiseptic) it is cut, stretched, sometimes burnt and then stitched. It creates a cold, poorly blood-supplied bit of tissue that is open to the outside world into which the residual bacteria (which residual bacteria? These ones. Surgical prep is better than hand sanitizer, but your skin is not sterile) fall and can set up a wound infection. This is not your leg in a gumboot full of Brisbane river water. What we do know is that healthcare staff do see an increase in the number of skin and soft-tissue infections in the period immediately post flood. We certainly did in Brisbane in 2011. 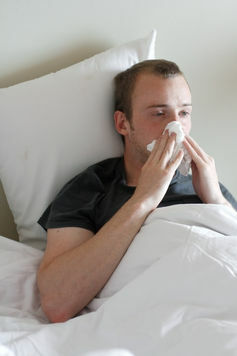 There is also a small increase in the number of unusual infections (things like Aeromonas – which likes living in fresh water but is normally a very rare cause of wound infections) but the vast majority of these are caused by Staphylococcus and Streptococcus – which are germs that are living on your skin right now. Why do we see these infections after floods? I’d guess that there is a combination of factors, including cuts and abrasions from submerged debris. In the Queensland summer, I reckon tinea pedis is a major player – one of our tricks of the trade in infectious diseases is to cure a person with recurrent bacterial leg infections by looking between their toes and treating their tinea – causing splits which let the bacteria in – which no other doctor has thought to look for. The other infection that people have mentioned is “that foot spa thing” – you’re probably thinking of Mycobacterium fortuitum – which lives in fresh water and likes warm places – and isn’t killed by whatever that awful radioactive blue antiseptic they put in those foot spas. It’s not much of an issue in floods, but the hair pulling and then soaking your feet in a warm pool of contaminated water is a risk for infection. (Disclaimer for foot spa attendees: it’s quite rare, so don’t stress). So perhaps shaving your legs could have a minor impact on the risk of infection, and surely if we can do anything to prevent infection we should? Well, I don’t think it’s always the case. I think that emphasising the wrong message is harmful. People (unfortunately) have limited capacity to remember public health messages. I think it’s far more important to emphasise the importance of hand washing after grubbing around in the mud than to focus on the shaving message. It’s a much more bang-for-your-buck intervention. In a way, it’s like telling tourists to North Queensland that they should watch out for red-backs under the toilet seat rather than not swimming where crocodiles or irukanji might be lurking – or for that matter, not encouraging them to cover up from the sun. Most of these skin and soft tissue infections will be mild and self-limiting. and don’t stress out if you’ve shaved your legs. It’s probably not going to make that much difference. Even less so for your face or armpits. The Queensland Health public health communique that will be sent to doctors statewide shortly doesn’t mention a damn thing about shaving, and neither does any flood-response guideline I’ve been able to find on the internet, so stop putting the fear of pestilence into shavers everywhere. It’s part of their series on “superbugs and antibiotics” – here is the link for the full series. The articles are all worth a read. Antibiotic resistant bacteria are becoming a major problem. Calls to action on increasing rates of resistance have been made by the World Health Organization, the US Centers for Disease Control (CDC), and by the Australian Societies for Infectious Diseases (ASID) and the Australian Society for Antimicrobials (ASA). And the media regularly features articles about superbugs and mega-superbugs. So why, if everyone is aware of the problem, are we still not winning the fight? Antibiotic resistance is caused by excessive antibiotic use. If bacteria aren’t exposed to antibiotics, there’s no impetus for them to become resistant. But much modern medicine would be impossible without antibiotics (most surgery, for instance) so they are a necessary “evil”. More than 80% of antibiotics are prescribed in general practice, and much of this is for upper respiratory tract infections (such as colds). These are mostly caused by viruses and almost never need antibiotics. Patients treated with antibiotics are almost three times more likely to experience a side effect (mainly nausea), for no benefit because antibiotics won’t affect the duration of their illness. And resistance can develop even after a short course of antibiotics. Hospital patients are usually sicker than patients who visit a GP. Sometimes, they’re very sick and need urgent treatment. In severe infections, the time delay until antibiotics are given is a major risk for mortality. Since antibiotic resistance is now a fact of life in hospitals around the world, it’s understandable that doctors want to give their patients the best treatment available. 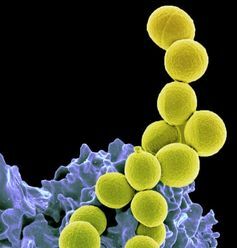 This can lead to “antibiotic armageddon” where the biggest, most broad-spectrum antibiotic is felt to be the best way to proceed. Australia has excellent prescribing guidelines that are easily available for doctors to refer to when prescribing antibiotics. In practice, though, studies in Australia and elsewhere show fairly consistently that only between half and three-quarters of antibiotic prescriptions are in keeping with such guidelines. antibiotics not required at all – 8%. The solution can be simplified into three “Es” – education, expectations, and enforcement. As medicine becomes more complex, it’s increasingly difficult to teach junior doctors everything they “must know” in order to practice. Education on good prescribing habits and the importance of rational antibiotic use are critical when doctors are in the formative stage of their careers. Doctors’ expectations are also important. Not every fever requires antibiotics and broader-spectrum isn’t always better are the key messages to teach. Although there are many campaigns aimed at the public about antibiotics for colds, around half of patients seeing a GP still expect such a prescription. And although only half expect it, 73% receive one. Those who don’t are twice as likely to present for another consultation. There are two factors at play here – patients’ expectation of a prescription and general practitioners’ understanding of what patients expect. 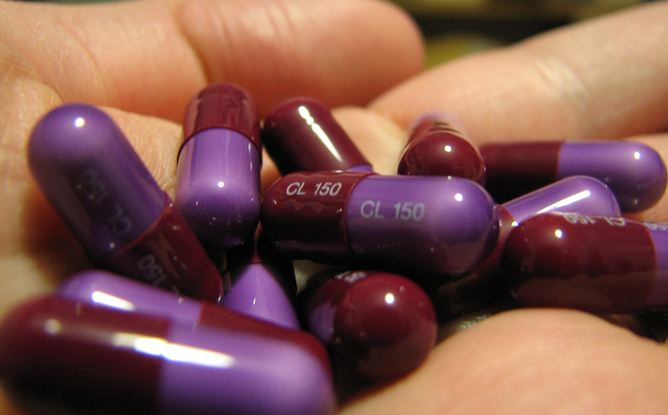 More worrying still is that doctors think that their prescribing doesn’t impact resistance. The result is a tragedy of the commons – patients may be aware of the risks of antibiotics in general, but feel the benefit for them outweighs the risks to the community, as superbugs only happen to someone else. In fact, the opposite is true – for viral infections patients receive no benefit from antibiotics but all of the risk. In addition to education, a well-designed antibiotic stewardship program can significantly improve antibiotic use in hospitals. As well as improving care quality, these programs can also reduce costs and decrease length of stay in hospital and the rates of hospital-acquired infection. Although doctors often bristle at restrictions on their practice, acceptance of these programs is surprisingly high. Superbugs are complex and pose a serious health threat. Only by working together, and prescribing smarter instead of broader, will we keep them at bay.